The XL14c EarthWise™ Hybrid heat pump gas furnace delivers exceptional heating, cooling and quiet operation. With the flexibility of two fuel sources, this packaged hybrid heat pump furnace lets you control the most efficient fuel to make your home comfortable. 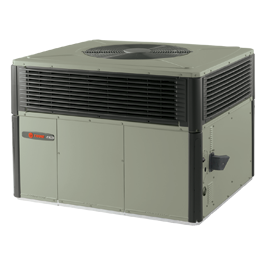 The Trane XL14c EarthWise™ Hybrid heat system offers up to 14.25 SEER, 80% AFUE and is Energy Star qualified. Exclusive components like a Spine Fin™ coil, Weather Beater™ top, and the variable-speed Vortica™ blower motor with Comfort-R™ will deliver the sustained performance you expect year after year. The ultra-quiet operation of this hybrid heat pump gas furnace delivers comfort without disrupting your home environment.